The final report for the Rural Museum Archaeological Outreach Project is now available. 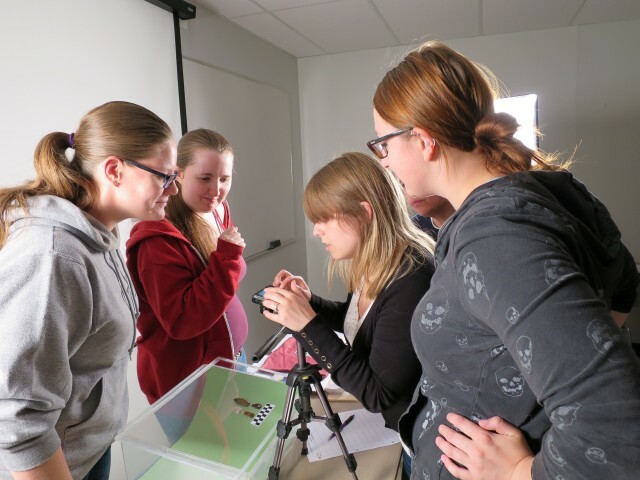 The project was a collaboration between Dr. Mary Malainey (Brandon University Anthropology), the Manitoba Archaeological Society (MAS) and the Association of Manitoba Museums (AMM). As part of the project, four Brandon University students travelled to rural museums in Neepawa, Killarney and Carberry. They identified and analyzed over 1,700 pre-contact artifacts and enhanced artifact displays. For more information please click here for full report. Dr. Malainey will also be giving a presentation about the project on Wednesday, Nov. 25 as part of the Faculty of Arts Speakers Series. Come see “Rural Museum Archaeological Outreach: An Excellent Experiential Learning Adventure” from 2:40–3:30 p.m. in Library room H-015 (in the basement).